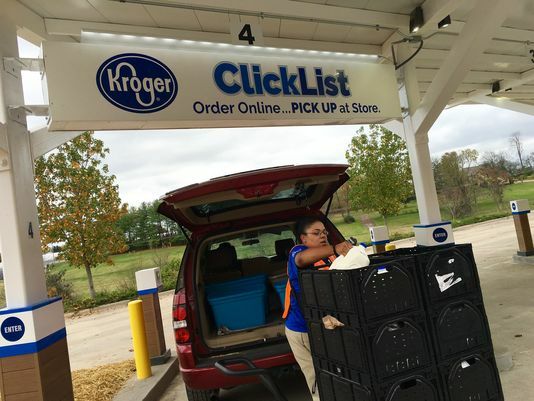 Parents are raving about ClickList, Kroger's new online-grocery ordering service. It allows customers to order and purchase from a selection of 40,000 groceries online and then pick them up at a Kroger. Store employees will pack the items and load them into customers' cars at a designated time. It costs $4.95 for regular orders and $7.99 for expedited ones. Many customers are praising the service, with parents in particular calling it a game changer. Articles and reviews of ClickList are popping up all over parenting and mom blogs. "A few months ago I started to see my Facebook feed fill up with busy moms talking about how their life had been changed. Maybe you've heard of a little thing called Kroger ClickList?" one health blogger wrote last month. "I jumped on the bandwagon and tried it. And they are right. It is a game-changer!" This is an excerpt from an article posted on BusinessInsider.com; for complete article, click here.